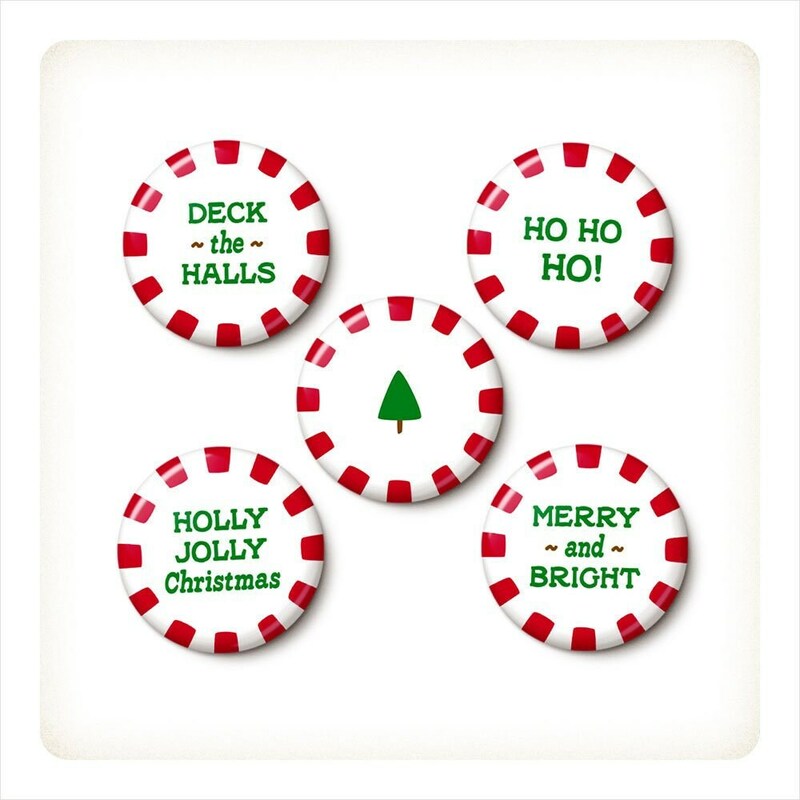 The Christmas Candy Button/Magnet Set includes: Ho Ho Ho, Merry And Bright, Deck The Halls, Holly Jolly Christmas, and the classic Christmas Tree. 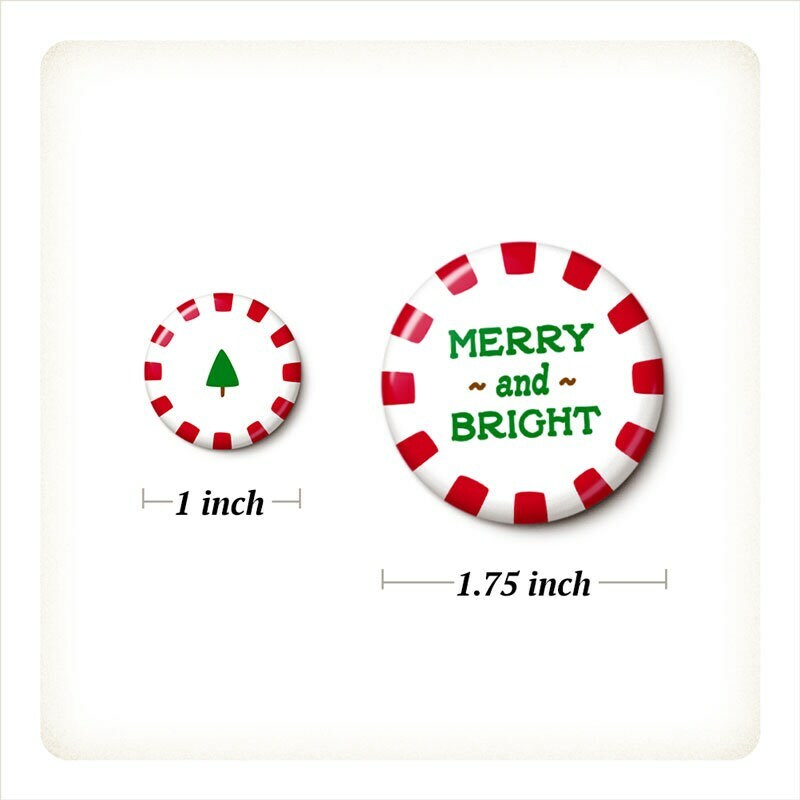 Set of 5 pinback buttons or 5 magnets, your choice. Note: Just to be clear, these are not actually candy. These are non-edible pins/magnets made of metal, paper and mylar. Don't eat them!